It's no secret that I love nail polish, if you follow me on Instagram you will often see pics of my painted nails, but sadly, more recently I haven't been painting my nails as much, because unfortunately I reverted back to an old and bad habit of biting them over the last few months. I am really disappointed in myself even though I know exactly why I've done it and it's a knee jerk reaction to some rather horrible months, but and there's a but, I am back to growing my nails again (yipee) so when I received a couple of polishes from the brand new Leighton Denny Modern Bohemia collection, I was pleased and it gave me the push to stop nibbling, and couldn't wait to try them and to share them with you too. 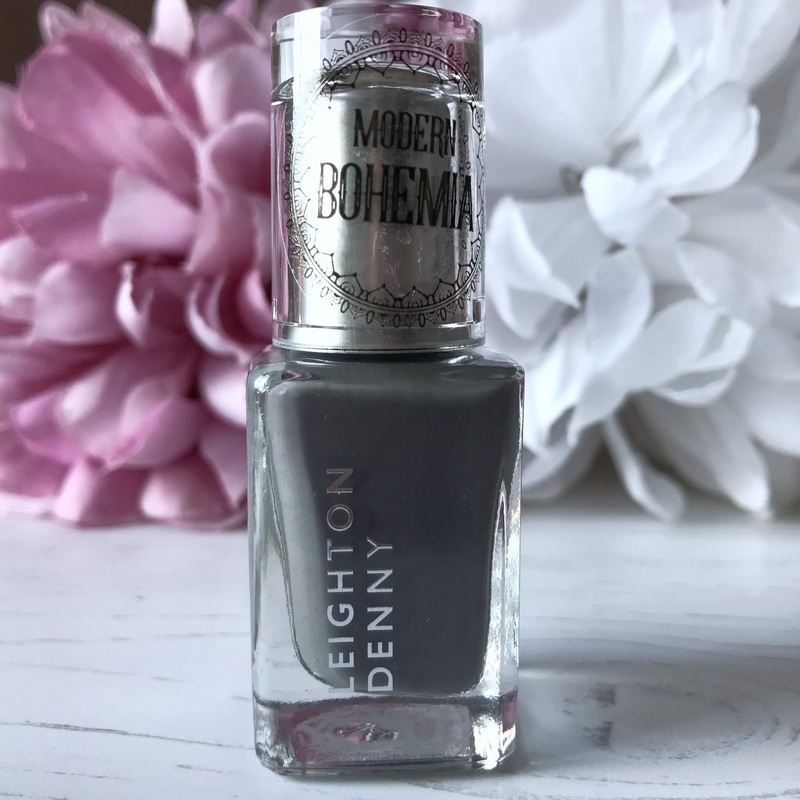 All 5 shades are self levelling, chip resistant, high gloss and 5 free, they come in the signature Leighton Denny square bottles and have Modern Bohemia written on the clear part of the lid. The two shades I have are Bohemian Spirit and Free Spirit and I adore them both. 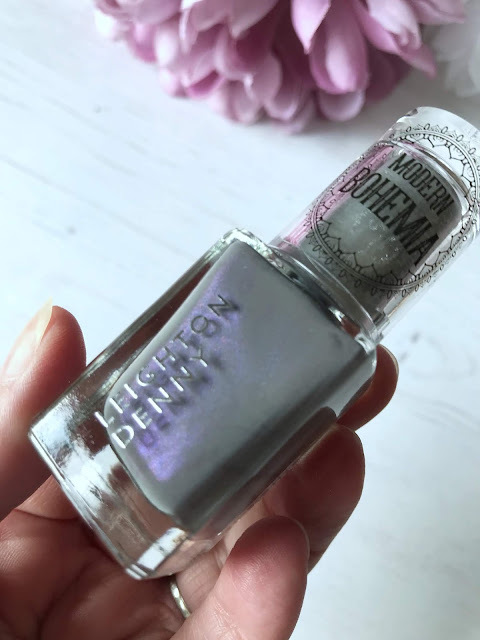 Bohemian Spirit is described as a soft Grey/Lavender shade, I agree with the shade description totally, sometimes I see shade descriptions and think "woah, really?" but I completely agree with the description of Bohemian Spirit. 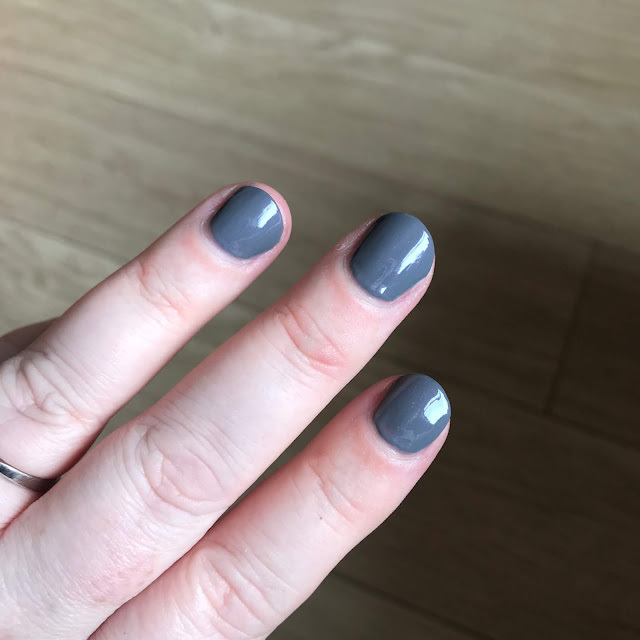 It is a lovely Grey shade with a tough of a pearlescent Lavender shade, the Lavender shade is subtle and just catches the light, so don't let that put you off, it just gives a really lovely finish to the polish. Free Spirit is a lovely clear polish with Rose Gold glitter particles and is a gorgeous polish to apply over any polish to add an accent nail or on all the nails, it can be built up and worn alone also. I think it looks best over another polish. 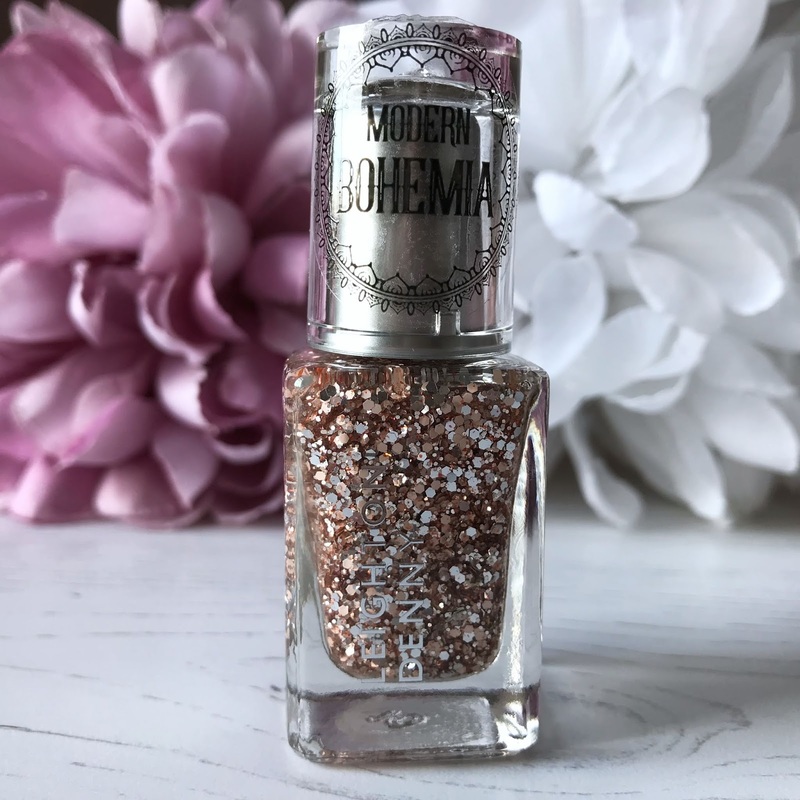 It would be lovely worn over any polish in the Modern Bohemia collection or whatever polish you would like to apply it over that you have in your nail polish collection. 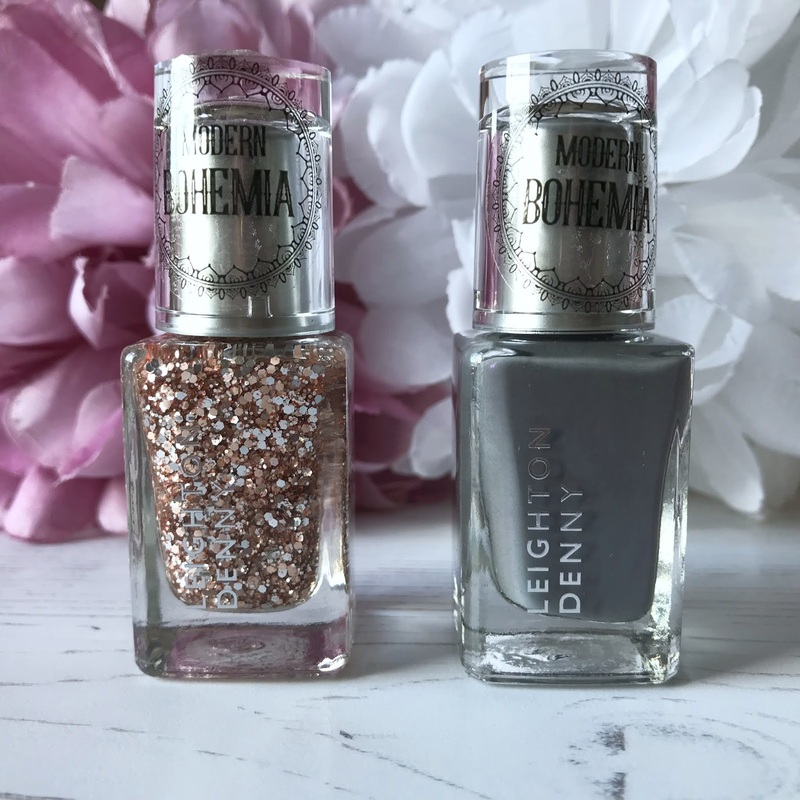 I really like both the polishes, Bohemian Spirit is such a lovely shade and absolutely perfect for the autumn/winter months too, it is a gorgeous grey shade and looks lovely worn alone or with the Free Spirit shade over it and I have also worn other glitter top coat shades I own over the top as an accent nail or over all the nails and it looks lovely and gives a really lovely look, NOTD post coming soon. 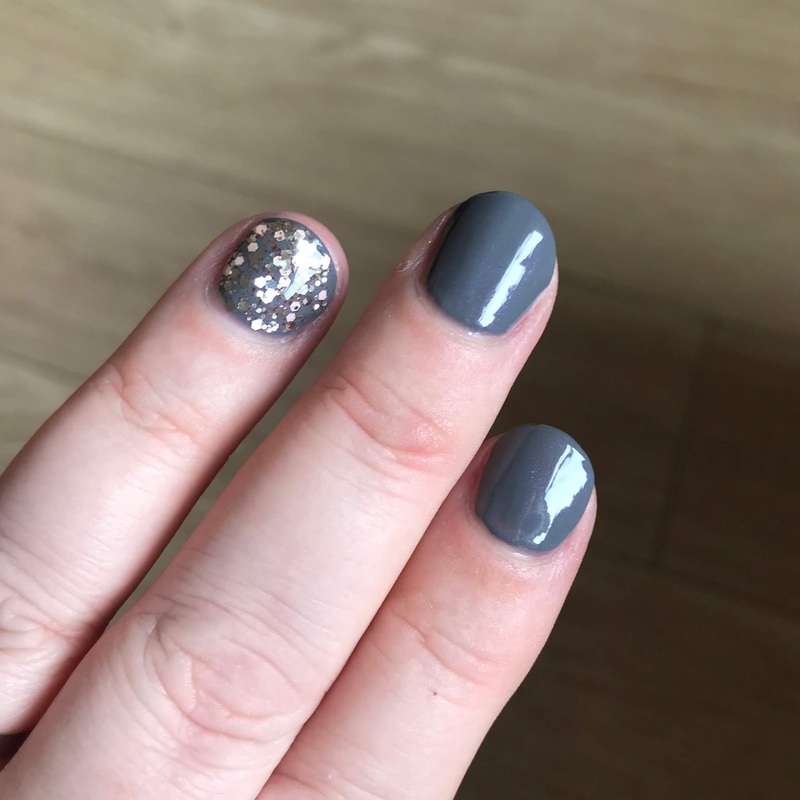 I love Free Spirit and it is lovely worn over Bohemian Spirit but also looks stunning over deep red, taupe and black shades too, it is also lovely built up and worn alone as an accent nail or on all nails if you're going for a full on sparkly look. 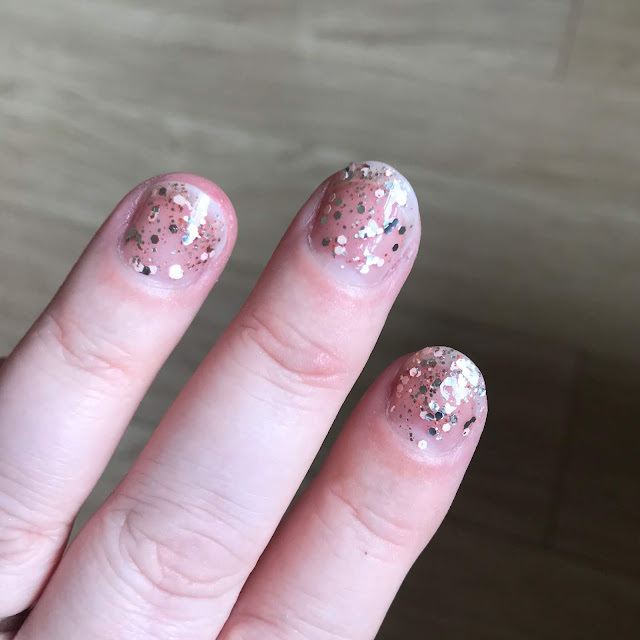 It isn't hard to get an even amount of glitter particles when applied either, which some are and if you use glitter top coats or glitter polishes, you'll know what I mean. Some can take some doing and faffing until you have the right amount of glitter on each nail and an even look, but Free Spirit is lovely and applies really well, and in the swatches above, I just painted it on, no faffing required! Both polishes are lovely, both apply well, and remove easily too, and I get around 5 days wear time from them, sometimes more. If you would like to try either of the two polishes I have, or any of the other polishes in the collection, you can find them on the M&S website for £12.00 each. 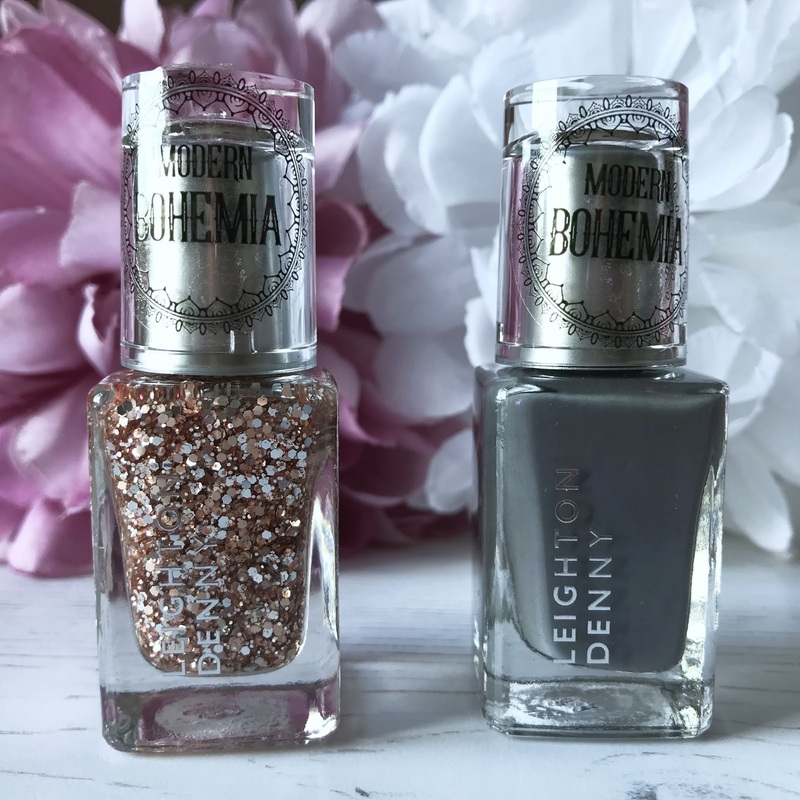 Have you tried any of the Modern Bohemia Polishes? Which is your favourite from the two I have? And what is your favourite autumn/winter nail polish shade?